While the first two discs feature the live performance, the third disc delivers rarities from their career, including never-before released tracks "Cruel Sun" and "Solace” that were recorded during the sessions for their 2004 debut, “One Day Remains”, as well as the song “Breathe” from the same time which has only ever been available as a US retail exclusive via Best Buy. 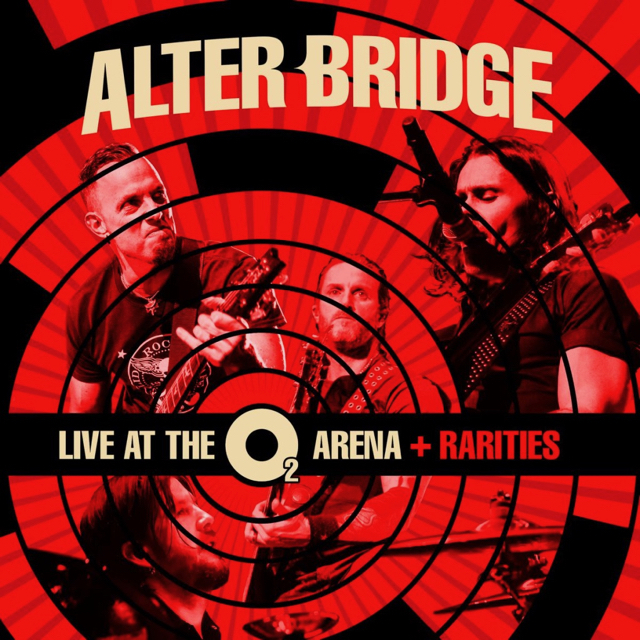 “Live At The O2 Arena + Rarities” will be available as a 3CD set, and limited deluxe editions – including a 4-LP set and a CD/DVD Earbook – which also include an exclusive documentary featuring extensive interviews with the band, their crew, and family, giving an amazing glimpse behind the scenes of the group’s biggest UK show. Alter Bridge will launch a European tour this week with appearances at Bavaria’s Rock Im Park on June 3 and Nurburgring’s Ram Am Park on June 4, with dates wrapping up in Pratteln, Switzerland on July 7. The band have scheduled a handful of US shows in August, as well, before playing a series of dates in South America in September.